This best-of-class tire delivers outstanding ride comfort, low noise, great wet and dry handling, and exceptional all-season traction � especially in snow. The Ecsta LX offers a groundbreaking 60,000-mile limited treadwear warranty, plus 24-hour roadside assistance, which remains in effect for two years from the date of purchase. 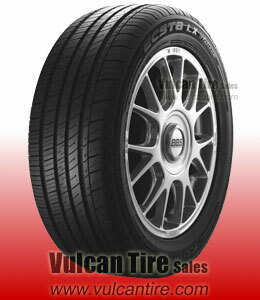 Sophisticated sidewall design complements today�s luxury touring sedans. fold more than I was hoping for a V rated HP tire but very predictible and smooth.